Selam , Merhaba from Turkiye. İ am making this pineapple jam for filling my Eid cookies- as our tradition- İndonesian Nastar or pineapple tart cookies. İf you are my regular reader or if you check my cookies category, you should already know that İ made pineapple tart cookies almost like dozen times which you can check here, here, here, or here. Those only few, besides pineapple jam filling you can also vary with cheese filling, chocolate or homemade apple jam filling. 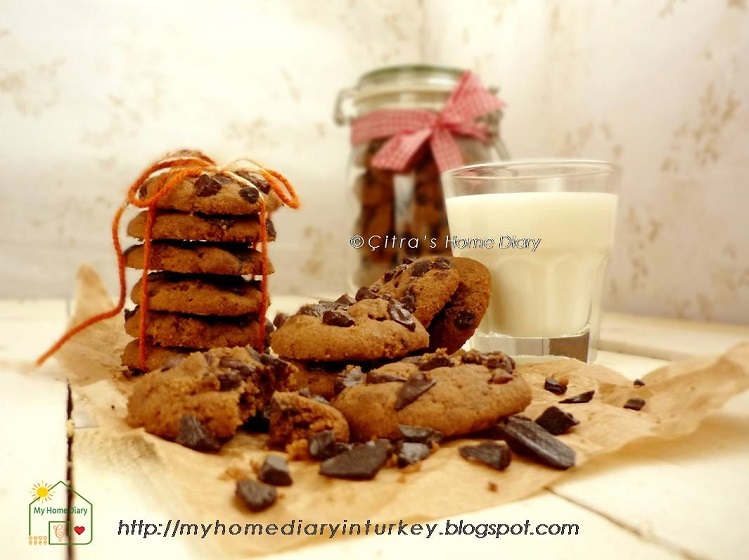 Please do check my "COOKİES" category and find my 40+ cookies collection. This homemade thick pineapple jam is made for cookies filling, if you want to use as spread you can make it slightly runny. 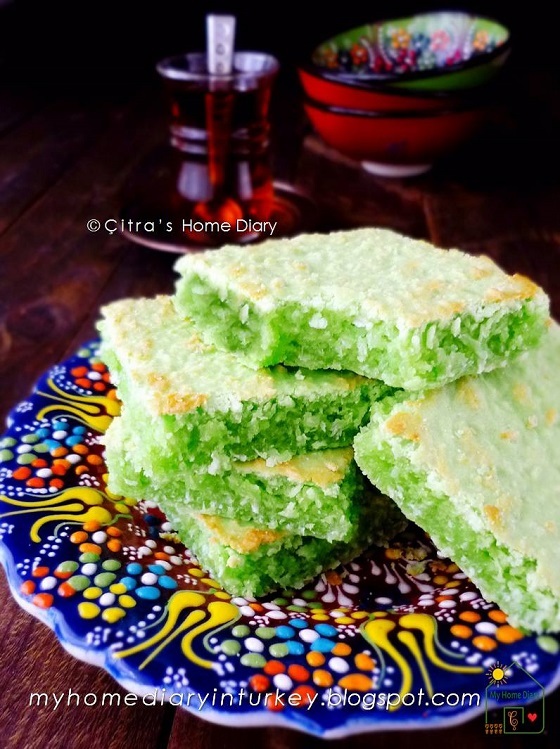 Today İ am going to share one of Indonesian favorite cookies. İt's crunchy yet yummy full of chocolate flavor. This cookies actually copycat from popular İndonesian cookies; Good Time cookies. And when Eid- el Fitr coming this cookies absolutely presented among other classic İndonesian cookies like İndonesian peanut cookies, nastar (pineapple tart cookies) , kaastengels cookies, spritz butter cookies and more. 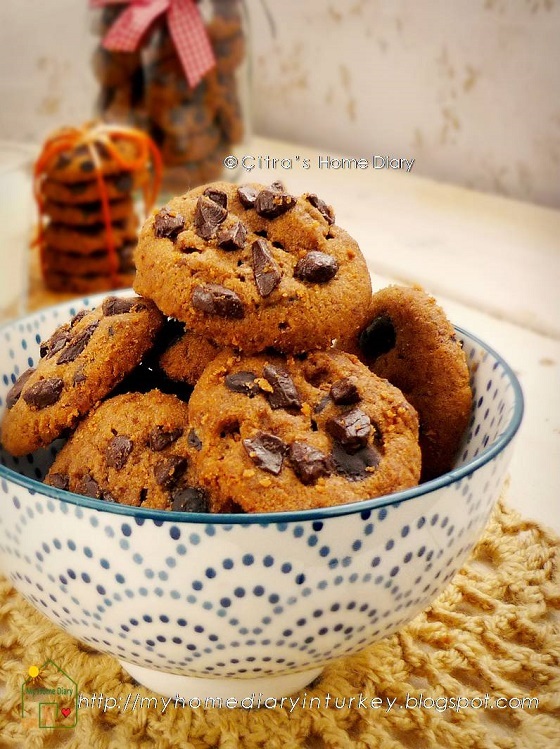 You can check other cookies recipes İ made on "cookies" category and see my various yummy cookies that you'll love. Thank you Hesti for the recipe. 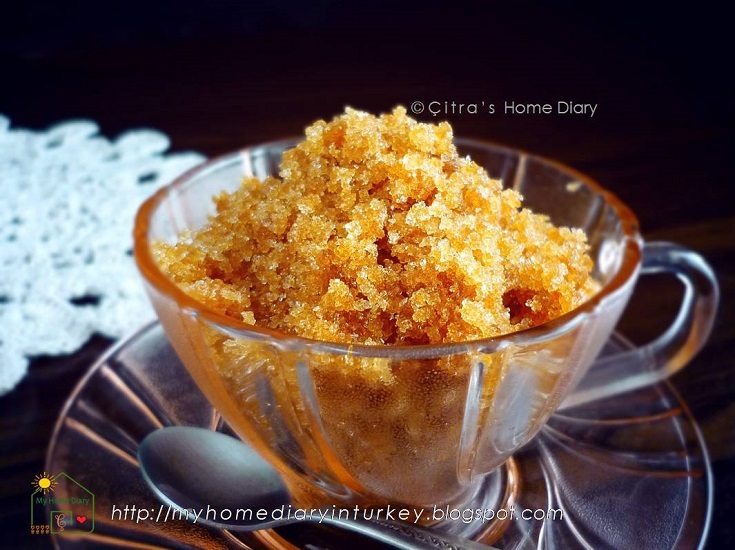 HOMEMADE BROWN SUGAR, make from just 2 ingredients. Brown sugar is a sucrose sugar product with a distinctive brown color due to the presence of molasses. Brown sugar is often produced by adding sugarcane molasses to completely refined white sugar crystals to more carefully control the ratio of molasses to sugar crystals and to reduce manufacturing costs. In general, the lighter the brown sugar, the more delicate the flavor. Very dark or old-fashioned brown sugar has a more intense molasses flavor. Wingko Babat is one of Indonesian old traditional snack (jajan Pasar) which may already exist decades ago together with other some traditional snack/ food. 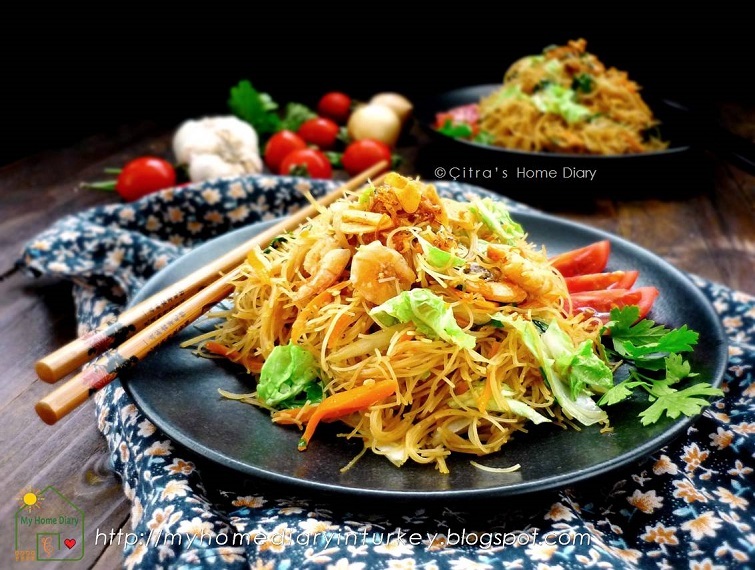 Made from grated coconut and glutinous rice flour as main ingredient. Wingko is very famous on the northern coast of the island of Java. The most famous Wingko made in Semarang. It causes a lot of people who think that wingko also came from this city. Nonetheless, wingko babat actually comes from small town calls "Babat" . It is a small area in Lamongan, East Java. Wingko mostly has round shape but sometimes presented in small square chunks warm or at room temperature. Has slightly soft yet somewhat chewy texture. Sweet taste and so aromatic from vanilla or sometimes pandan. Today I'm going to share this favorite ever of mine in Pandan taste. You can check my previous Wingko Babat recipe for the original taste here. 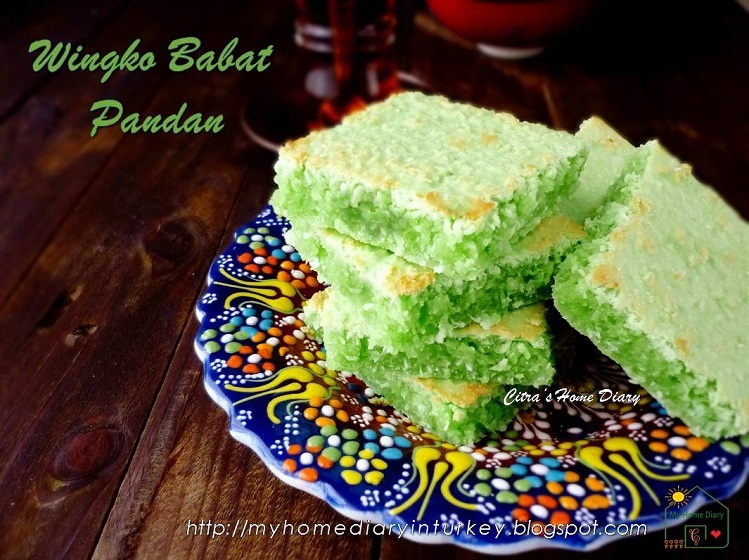 For this pandan flavor İ bake in oven and cut into porsion, different from pancake version. But if you want to cook over pan / round shape feel free to do so, check the link İ give above. So let's gather some ingredients and experience the traditional Indonesian sweet for your afternoon tea/ coffee. Resep dalam bahasa İndonesia ada di bagian bawah. 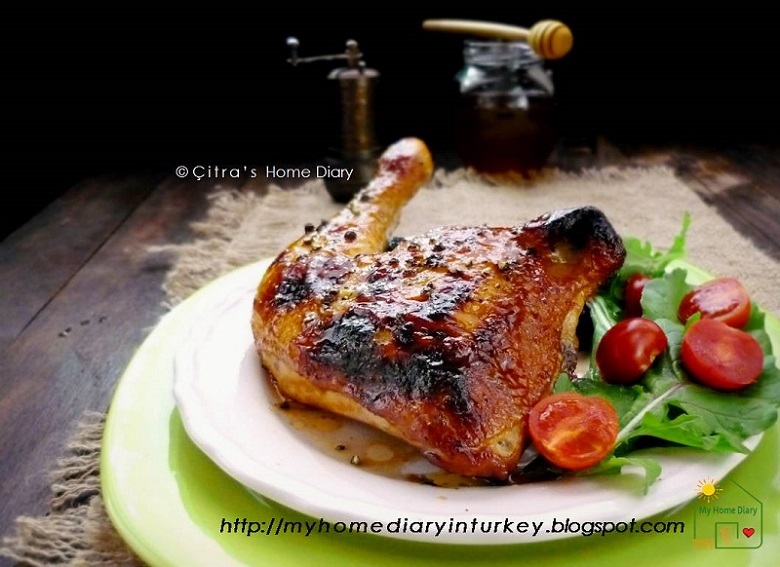 İ think grilled chicken it has most wide varieties of spice. You can do and add any flavor you like start from spicy, sweet, sour, salty or simply garlicy. 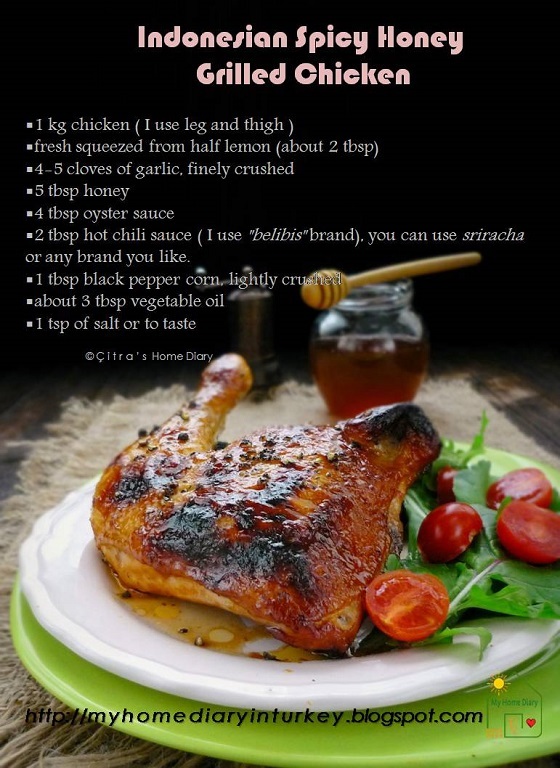 İn İndonesia grilled chicken calls ayam bakar, also has very much variety base on bumbu/ spices uses, or base on originated. We have ayam bakar sunda, which comes from Sunda (west Java). Or ayam bakar Padang, from Padang-west Sumatra. Or Ayam bakar Taliwang, from Lombok island and each province/ region has own typical grilled chicken (ayam bakar). Also base on spices used, we have ayam bakar bumbu bali, ayam bakar bumbu rujak (spicy grilled chicken in coconut milk), ayam bakar kecap (sweet soy sauce grilled chicken-see the recipe here), ayam bakar cabe hijau (green chili grilled chicken)... and more. Selam everybody. Merhaba from Turkiye. Some of you may doesn't like macarons-even İ doubt it 😖. 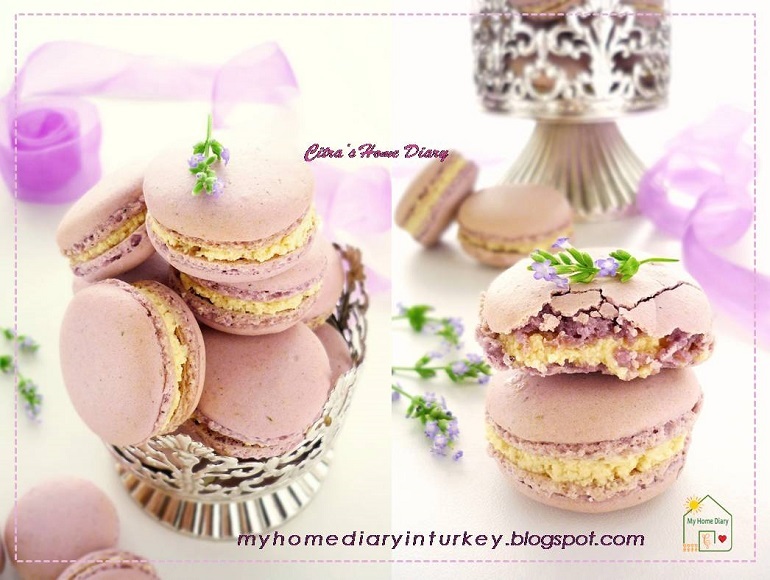 And İ believe many of you loovvveee macarons or even addicted to it. Me; İ am addicted too ... but more on baking them. 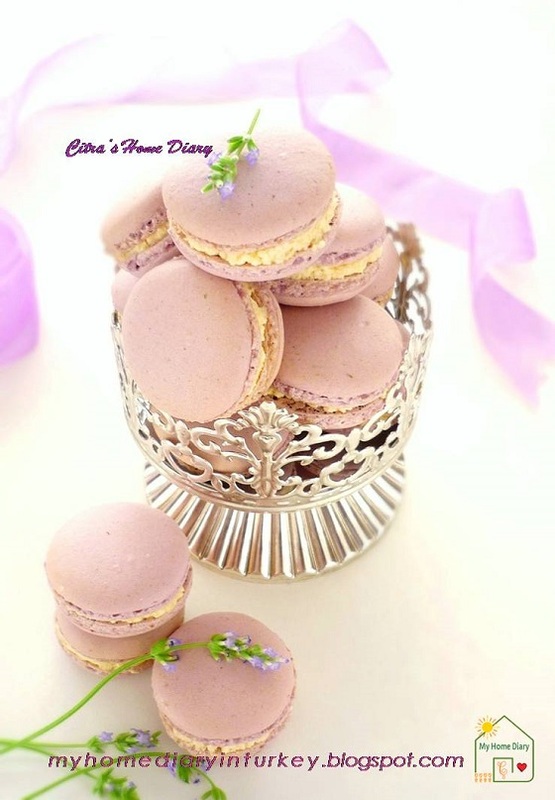 İ like macarons so much of course but İ try to limit my self to eat sweet things too often or too much. İ have a pot of lavender flower in my balcony which beautifully bloom in this June, so İ took the flower for these pictures. So what you see here are real lavender flower. But İ use dried lavender tea from local seller for the recipe. Macarons, a sweet treat meringue-based confection made of egg white, sugar, icing sugar, almond powder, and sometimes food coloring is added. The confection is characterised by smooth, squared top, ruffled circumference (referred to as the "foot" or "pied"), and a flat base. 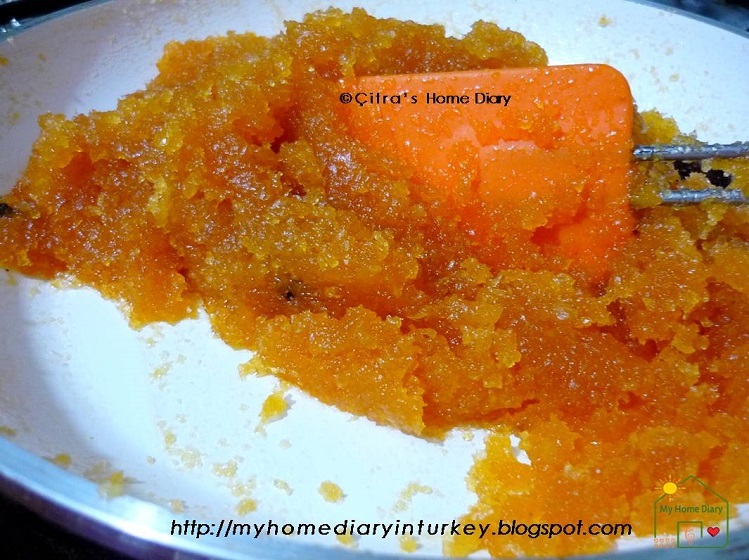 It is mildly moist and easily melts in the mouth. Macarons can be found in a wide variety of flavors that range from the traditional (raspberry, chocolate) to the new (foie gras, matcha). Firstly let me wish you Ramadhan Mubarek for you my muslim sisters and brother around the globe. Have a happy and full of blessed of Ramadhan, keep healthy and fill this holy month with many good deeds. And my recipe today is definitely one of typically Ramadhan (and Eid-el Fitr) meal among others. 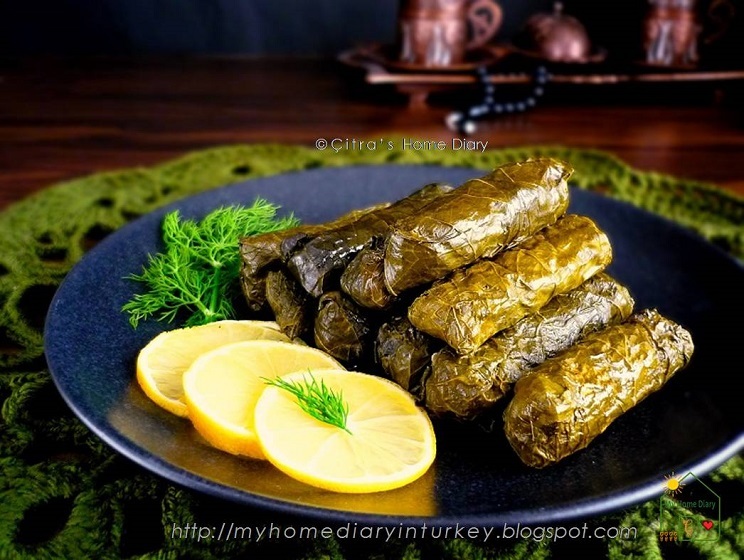 İt's Kıymalı yaprak sarması which literally means rolled vine/ grape leaves with meat. 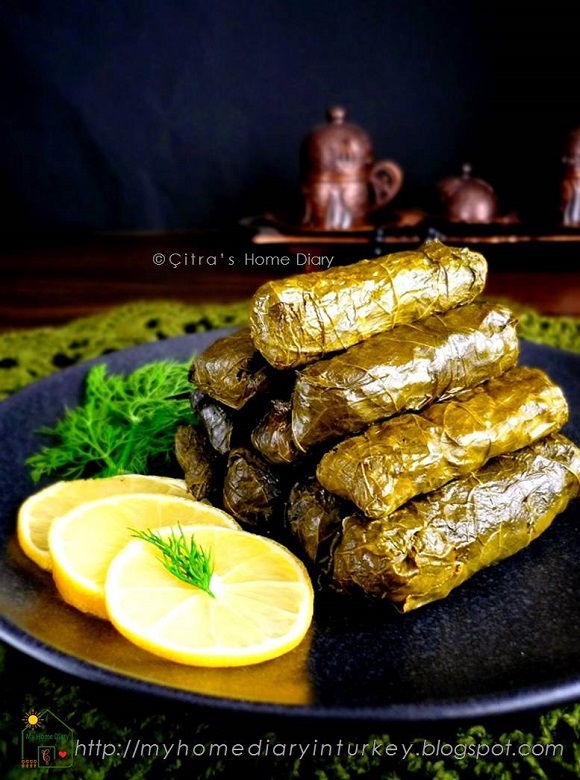 İt's a grape leaves stuffed with rice, meat and some herbs. Sometimes black currant or pine nut added. Cook with splash of olive oil and lemon. 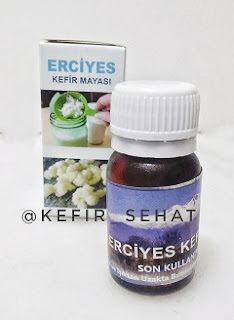 Then serve hot or room temperature with sarımsaklı yogurt (garlic yogurt sauce) and /or ezme (meze). 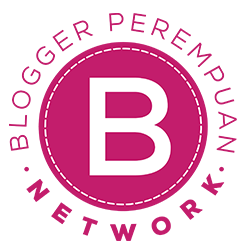 Originating in Turkey and spreading all over Mediterranean, Middle east, east Europe and beyond. Some recipe didn't use meat/ meatless so we call it etsiz yaprak sarması as vegan version-which is İ prefer to make. But my husband is "meat person" , he loves anything with meat in it.